The supply chain mechanisms of today have been completely remodeled by the constant evolution of modern business strategies. The rise of innovative recourses plays a pivotal role in bridging the gap between the supplier, the wholesaler, the retailer, and the consumer. Efficient management of demand volatility and extreme market conditions have become the new mantra of supply chain managers worldwide. Digitalization is increasing demand for agility and forcing new business models, boosting spending in the SCM market. With businesses increasingly shifting towards cloud-first or cloud-only deployment models, SaaS vendors are finding new revenue opportunities. 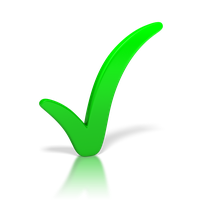 Gartner observes that the supply chain management market will surpass $19 Billion by 2021. The supply chain management space is leading in the manufacturing industry because of the extensive ways technology has succeeded to streamline and simplify the supply chain workflows. Professionals are capable of leveraging customization, automation, due to the steady transformation, which is realizing higher-efficiency into the realm of supply chain management. 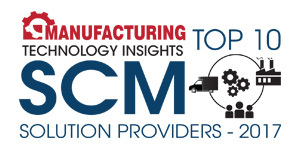 As the supply chain sector emerges to be a vast field of possibilities in terms of technology, manufacturers are looking for supply chain management solution providers that match their needs. 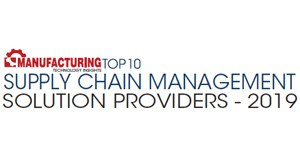 Keeping that in mind, a distinguished panel comprising of CEOs, CIOs, and analysts including Manufacturing Technology Insights’ editorial board has charted out top 10 companies offering tailor-made and efficient solutions for supply chain management. These companies offer powerful solutions coupled with innovative strategies that can help your business succeed.